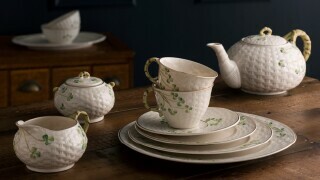 The Shamrock Dinner Plate will indefinately get all the attention when set out on your dinner table. 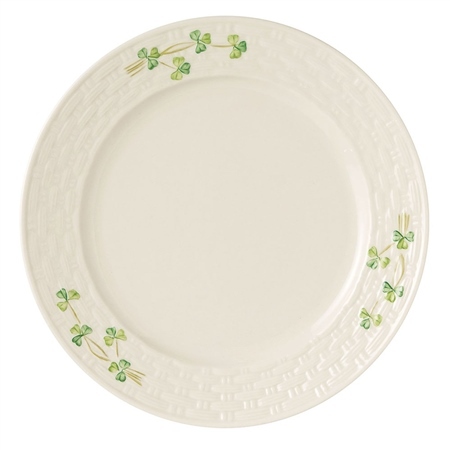 This large dinner plate is so charming adorn with little green shamrocks around it. I love it! 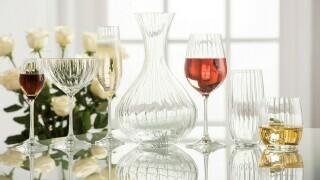 This dinner plate will make a wonderful set, along with the salad plate and the side plate. I have all three. 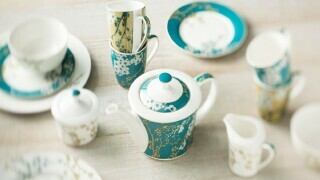 This set is so pretty and special to me. I have slowly been collecting this dinnerware. I love them! We are an Irish family so they are used throughout the year. My grandmother always said don’t save the good dishes just for company! You will get much more joy from them the more you use them! Thankfully they have been making these for years and they have kept the same pattern and quality throughout!